It's time for the New Product Launch! All the Stamps, Die-namics, and Stencils can be found HERE. 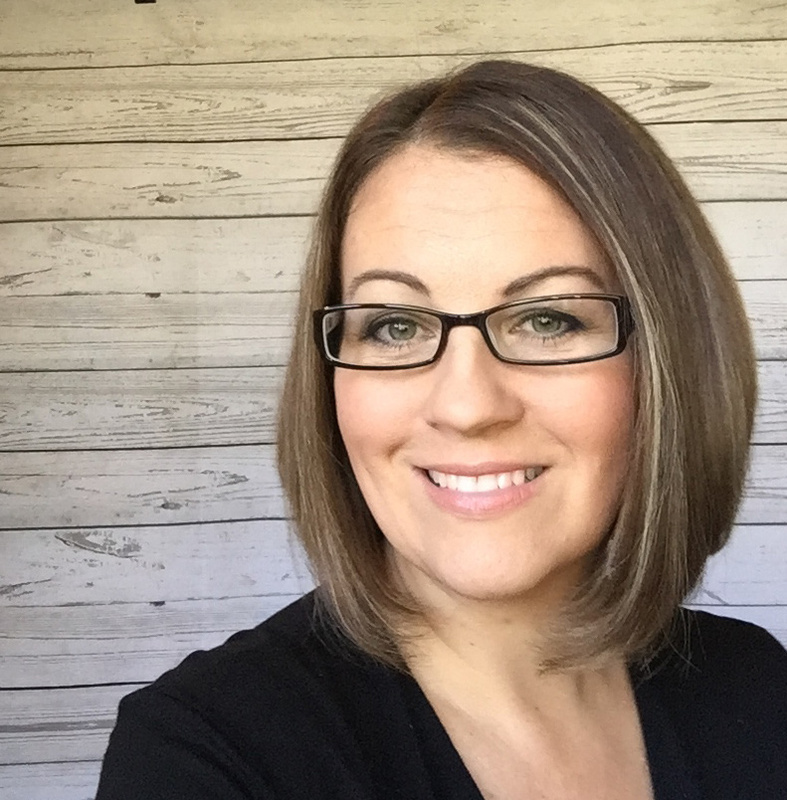 Please remember to visit each of the MFT Designers' July New Product Launch posts on the MFT Blog and leave a comment by the end of the day on Thursday, July 13 for your chance to WIN one of two, $100 Gift Vouchers. Ready? Set. Comment! I have five colourful cards to share with you today. 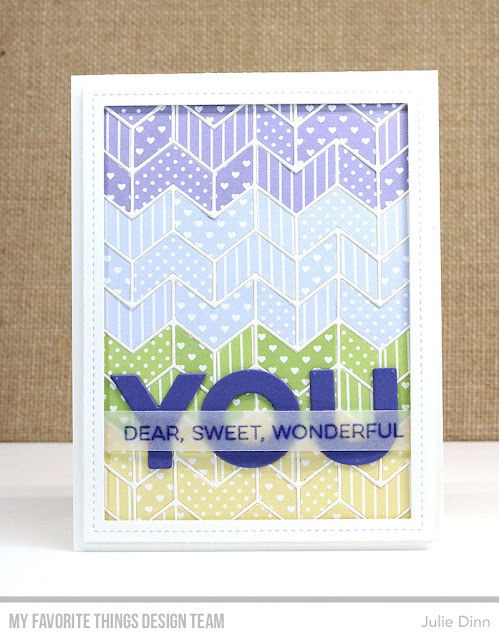 They all feature the All About You stamp set, You Trio Die-namics, and the Split Chevron Cover-Up Die-namics. I started out wanting to create a card using some of the gorgeous new pastel pattterned papers. This month we released Proper Pinstripes Pastels and Itsy Bitsy Polka Dots Pastels. I paired these two packs with the previously released Tiny Hearts Pastels. I picked four colours and then die-cut one sheet of each pattern in those four colours. I probably could have made another 5 cards with all the little pieces I had! The sentiments were all stamped in Lavender Fields Hybrid Ink. The you sentiments were all die-cut in Lavender Fields card stock. Don't you just love having matching card stock and inks? 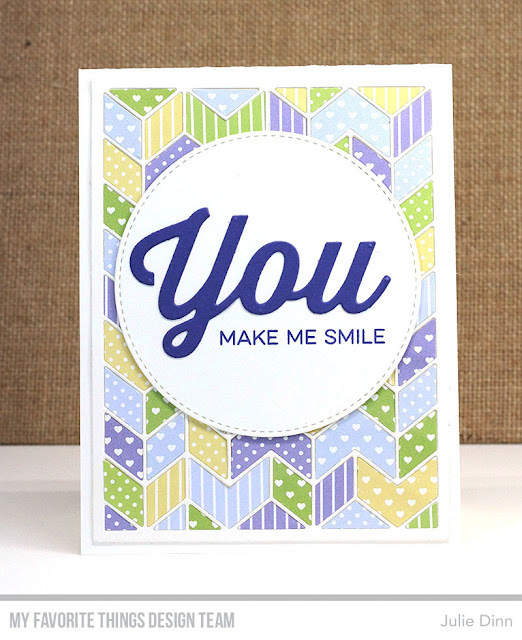 There are so many sentiment combinations you can come up with using the All About You stamp set and the You Trio Die-namics. It was hard to choose which ones to use. I love the color combination you choose, so fresh ! Love all of these cards - I appreciate how they demonstrate the versatility of these products. Awesome backgrounds! Love how you switched it up for each of your card. Wow! What a lot of beautiful work!!! I love all of these cards and can't wait to start creating with the YOU dies and stamp set!! All your cards are great! Thanks for sharing! I can't help but think that your first piece would make an excellent Baby card... perhaps it's the patterned paper? It's a great design concept. Really fun card! Love how you used the products different ways on the cards! Oh my goodness! I love what you did with the split chevron cover up and created 5 different cards! Amazing! My heavens. Those are some stunning card combos. I love the flow between each of the designs. Love this color combo, so pretty!! Oh how I love that dsp!! The colors are beautiful. I think you went the extra mile! Love all of the different looks! Fabulous cards! Great colour combo. Thanks for the all the inspiration. Great cards and the diffrent designs are stunning! How clever you are! These are just gorgeous! Wow awesome cards. I like how they are all pleasing to the eye. Love the color palette. I love all the different looks you created. So many wonderful cards using the same products. Great job on them! LOVE these cards! I've been wanting the split chevron cover-up die since it came out and you've reminded me about how awesome it is! Excellent use of the chevron cover-up!Thanks for the inspiration! What a very pretty way to show off all the pretty new papers! And the "You" die is a must! Wow! Such a beautiful collection of cards with that die! I love the use of negative space and positive space and the combination of the two. Wow! Reminds me of quilting! Perfect cards to send to anyone but quilters would really appreciate the lovely use of patterns & colors! You display the versatility of this die set beautifully! Thank you for the inspiration! Just wow!! These cards are stunning!! The new patterned papers are so pretty and I just love how you die cute them and pieced together your different backgrounds. They are all absolutely beautiful! Beautiful showcase of the chevron background. Those papers are so pretty together and the You die and sentiments are perfect! Love your cards. Your cards are amazing! Fabulous colors and wonderful ideas of how to use up all of the pieces that you die cut from the different papers. So stinkin creative, love it! 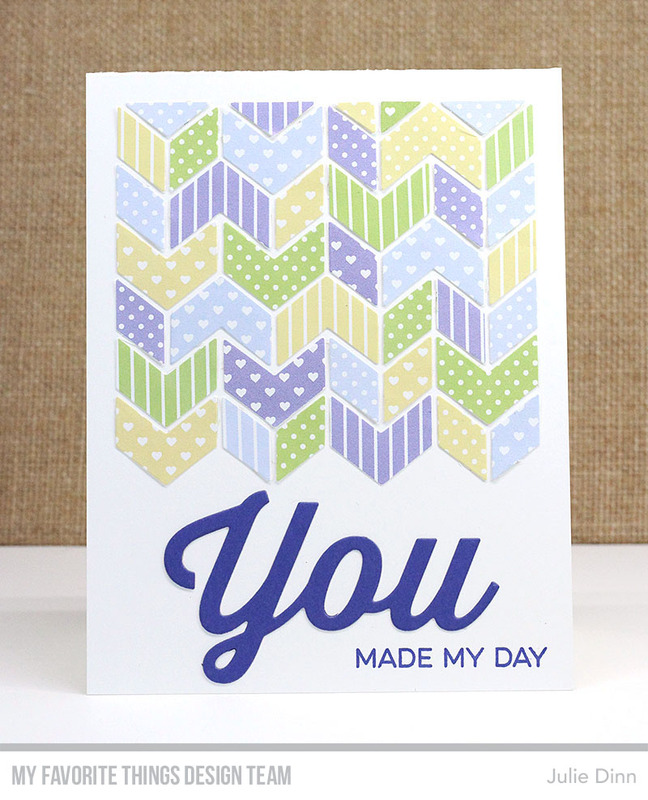 fantastic use of the chevron die and wonderful papers, makes a bunch of great cards. Beautifully done cards! Love each one of them. Beautiful cards. The backgrounds are fabulous. Love all your cards! What a creative way to use that die although I'm picturing you with hundreds of little pieces of paper all over your desk! The color choice is perfect. OMG, it look like these cards really took some patience to get these patterns just right. My hats off to you for a Marvelous Job on these. Stunning! I adore these colors! And how great to get so many options. Wow! At first I thought I'd missed a new quilt cover up from MFT. it just shows how you can stretch your supplies. Very clever and so pretty. Thanks! 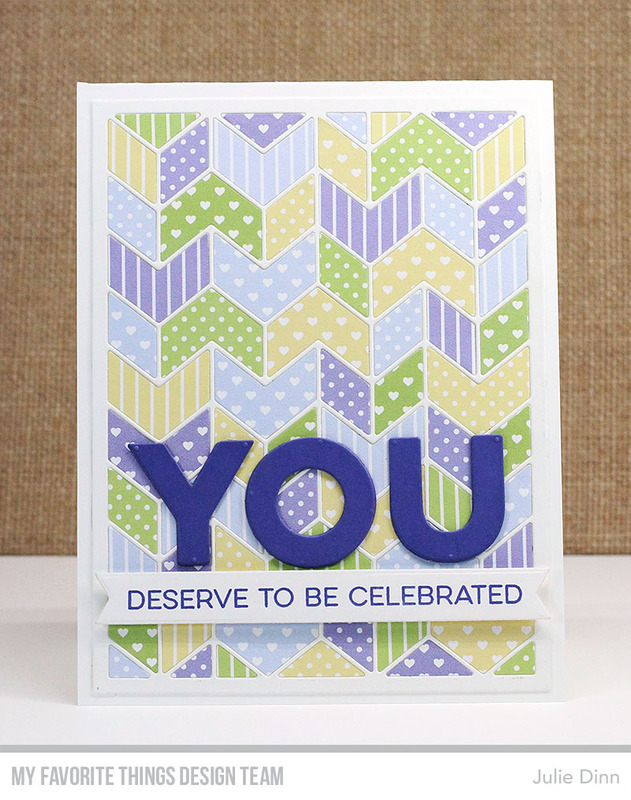 Great inspiration with the Chevron die! You did an AMAZING job with this cover up die and word dies...WOW!!! I love your choice of papers, too! Beautiful colors, all the cards are beautiful! Your cards are beautiful. I love how you used the patterned paper. My favorite thing to do with cover-up die-namics is to make them look like quilts. So when I saw your post, I was thrilled! 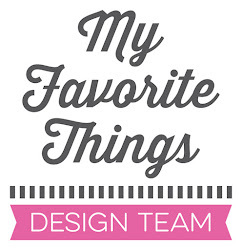 I love your color choices and your designs. They are fabulous!!! Fantastic cards! Love the colors and great use of that paper. Awesome release. Its gonna cost me! Fabulous cards!! Love the colors you used! I love every single one of these backgrounds and just added a couple more things to my wishlist! die cuts. Love the colors. Wow! I adore each one of these unique beauties! Awesome card! Love the use of patterned paper!! Wow, these are fantastic. Love the way you made each one different with the same pretty papers. I like the quilted look of this die! Beautiful job! Love this- it looks great! These are so fantastic!! What an awesome use of the cuts from that die and so many different ways you've used them... beautiful! So pretty! Love all the backgrounds! Love this! Such a great release! Wow!! Love how you used the chevron die in such a creative way. Beautiful color combo too! Such a great way to use the chevron die. Love how colorful your card is. Wow, love the chevron pieces. I have overlooked this die. The papers are so pretty and soft. So cute. Love the colors you used to make the card. Wow! Fantastic card set! Love your color choice, design and how you've utilized the pattern paper!! The designs on those cards are refreshing to look at, and to receive I am sure. I love the way you use the product line in so many fashions. It is like a "card" fashion show. teehee. Have a great day! I KNEW these papers were wonderful, and I am beyond impressed with what you did with them. The results are so lovely. Thanks so much. What a great idea to mix and match papers with that die cover plate! Love all of the cards! 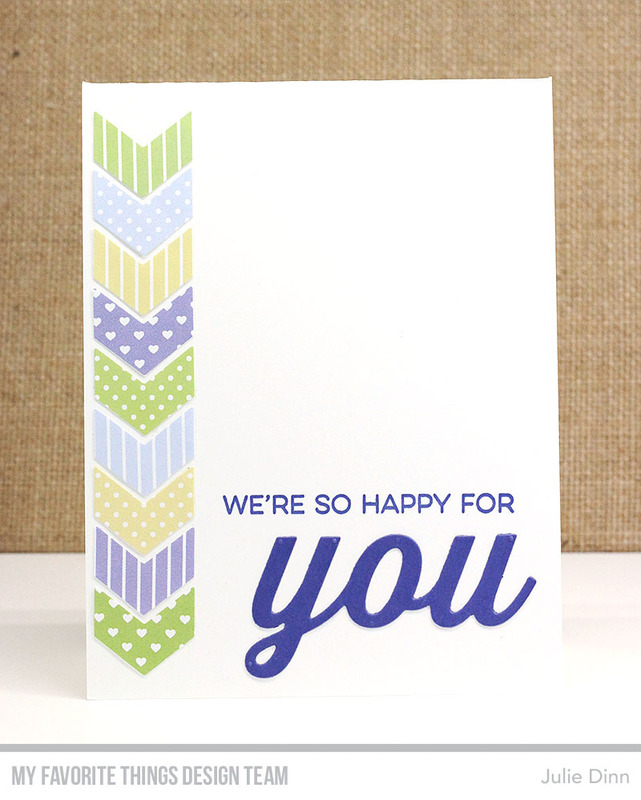 Fabulous card designs with these sentiments and papers. Wow! Looks like you were having fun, and it shows!